There are currently around 10,400 West Papuan refugees living in East Awin and in border camps in Papua New Guinea and up to 150 living in exile overseas. The United Nations High Commission for Refugees (UNHCR) and the Papua New Guinea government recognises those in East Awin as refugees. The more than 7,000 living in border camps are not recognised as refugees and are therefore not receiving medical assistance. The only outside help is from the Kiunga Catholic mission and some Australian non-government organisations. 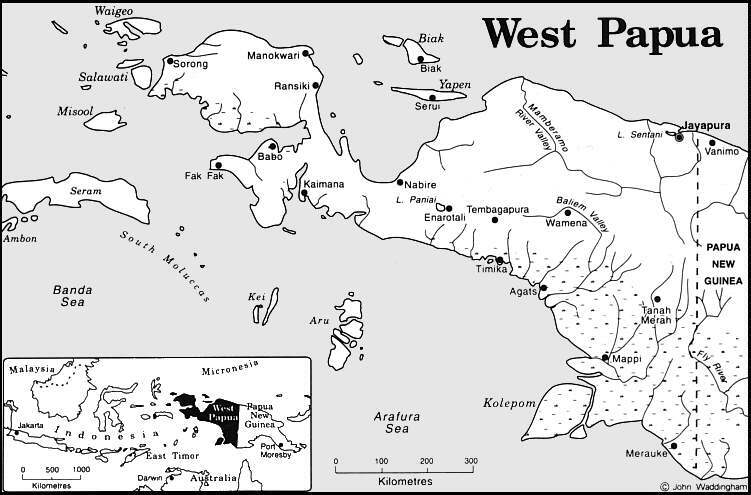 During the Dutch administration of what was known as West New Guinea, or West Irian, there were no border problems with the state of Papua New Guinea, administered by Australia. Border crossing occured frequently by Papuan people largely unaware of artificial boundaries, practising traditional activities. 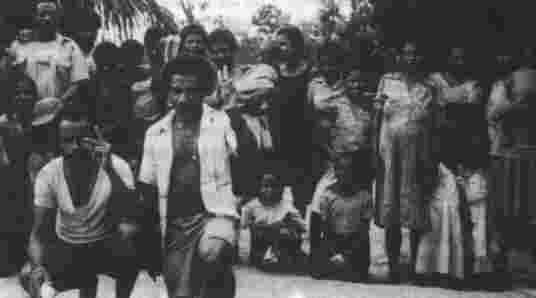 Following the Indonesian takeover of the administration of West Papua in 1963 a steady flow of refugees fled over the border into PNG to escape political persecution. The number grew following the UN referendum, the so-called "Act of Free Choice" in 1969, in which 1025 voters chosen by the Indonesian authorities voted unanimously on behalf of 700,000 indigenous West Papuans to integrate with the Republic of Indonesia. Opponents to Indonesian occupation, including members of the Free Papua Movement (OPM - Organisasi Papua Merdeka), began seeking political asylum. The largest exodus took place in 1984, when over 13,000 sought asylum in PNG, most of whom remain today. West Papuan nationalism and support for the independence struggle carried on by the OPM remains strong in the camps. Many of the refugees are fearful of returning to Indonesian-controlled territory, and their presence in Papua New Guinea has faded from international concern and scrutiny. The PNG government and the UNHCR have a policy encouraging voluntary repatriation to West Papua. 3905 refugees have voluntarily returned to West Papua since 1985. However, the Indonesian government will give no formal guarantees for the returnees safety or a commitment not to arrest. The UNHCR in Jakarta does not have access to West Papua, and the representative of the International Committee of the Red Cross (ICRC) in Jayapura has been withdrawn. The reluctance of third countries like Australia to take West Papuan refugees remains a stumbling block for those who are reluctant to settle in Papua New Guinea. There are two types of refugee camps. Under the control of the United Nations High Commission for Refugees (UNHCR) and the Border Affairs Division of the PNG Department of Village Services and Provincial Affairs is East Awin, with 3,400 refugees. Funding for the large East Awin camp, located in PNG's Western Province, has been provided mainly by Australia (AusAID), and the UNHCR is committed to reducing its role in the administration. The other 7,000 people are in eight camps close to the border. These are inhabited by people who did not want to go to East Awin, into camps controlled by the PNG government. A handful of expatriate staff, missionaries and volunteers provide health services, educational and vocational training and small business development expertise, providing opportunities for wood and cane product manufacture, and marketing of food-stuffs. In spite of these initiatives, there are many practical problems facing the refugees. Water supply remains a problem. Concerns over land and compensation remains a tense issue between local landowners and refugees, with ongoing negotiations with the PNG authorities. Vehicle and road maintenance is a constant brake on many economic or social initiatives to improve camp life. Yet the main issue for the people of East Awin is not material, but recognition of their rights and aspirations to freedom of movement, granting of identity papers and travel documents, access to jobs and education and the gaining of residency in PNG, presently denied them, despite many having been in the camps for over ten years. This violates Articles 26, 27 and 28 of the UN Convention relating to the Status of Stateless Persons. "Indigenous peoples have the right to the restitution of the lands, territories and resources which they have traditionally owned or otherwise occupied or used, and which have been confiscated, occupied, used or damaged without their free and informed consent. Where this is not possible, they have the right to just and fair compensation. Unless otherwise freely agreed upon by the peoples concerned, compensation shall take the form of lands, territories and resources equal in quality, size and legal status."